Don’t Be A Dobby, Get Yourself A Rose Book! A while back, I wrote about becoming a positive listener and the importance of being able to hear the positive things that are being said to us in a singing lesson. Sometimes the need of training positive listening stretches outside of the singing lesson. We might not only be unable to hear the positive things that are being said to us in a lesson, but we might also be deaf or “immune” towards other positive comments or feedback about our singing in general, or about the shows and concerts we give. I was reminded of this today, when I worked with a fabulous singer. She has her own show and is touring with it internationally, something many singers are dreaming of doing. Not only does she have a singing career that leaves many singers jealous, she can “sing the stars off the sky” – as the Dutch saying goes (“de sterren van de hemel zingen”). In other words, she can sing challenging repertoire including “Defying Gravity” from Wicked, like many singers would only dream of singing. I’ve been working with this singer for a while and I can recognize when her “Inner Censor” is kicking in during the singing lessons, analyzing and making opinions about her own singing as the song proceeds. She’s like many other singers I know, making comments while we are singing (either verbally: “that sounded awful”… “that was supposed to sound different”…. or non-verbally, by rolling eyes or with various cringing facial expressions). I’d like to share another tip for becoming a positive listener with you, because we talked about it today with the singer I worked with. It’s a simple and powerful strategy: you document and keep track of all the positive feedback and comments you receive (about your singing, or sometimes even about other things). Keep doing this at least for one month. …but you still can come up with 1000 reasons why you are not satisfied with ANYTHING AT ALL about your singing. Christina Kürstein-Lecocq, who was one of my teachers at Complete Vocal Institute, once called a collection of positive comments “The Rose Book”, and because I really like that name I keep calling it the same. “The Rose Book” could be a notebook or journal (or iPhone/iPad app) in which you write down ALL the positive comments and feedback you receive. 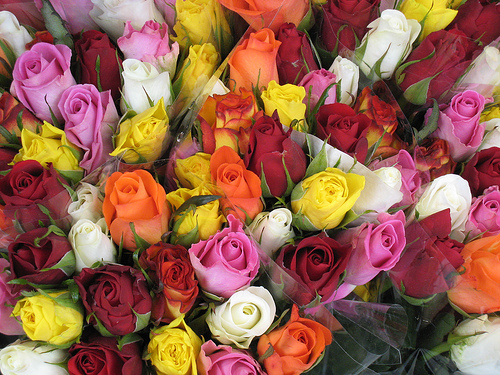 Think about those positive comments, and now imagine someone giving you a bunch of roses after a performance you’ve had (see why I love the name?). …and now, I challenge you to keep a Rose Book for the coming month! Write down every compliment you receive during the coming month. It might be a compliment about your singing. Or it might be a compliment about other things. Read your Rose Book and your compliments daily, or at least once a week. Don’t be a Dobby, get started today! The internet is full of wonderful (free) resources for singers and singing teachers. But sometimes it might be difficult to filter out the “good stuff” from the massive amount of links that are being shared on social media sites like Twitter and Facebook. And unless you happen to be very organised in keeping track of your internet bookmarks, many great links tend to get lost somewhere down the road. Here I have collected some of my favorite online resources for singing teachers and singers who want to learn more about the anatomy and physiology of the voice. The list is far from being “complete”, so if you have more quality online resources on vocal anatomy and physiology you’d like to be added to the list, please mention them in the comments below. Anatomia is an electronic resource developed at the University of Toronto, designed to assist medical and dental students with understanding of functional human anatomy. 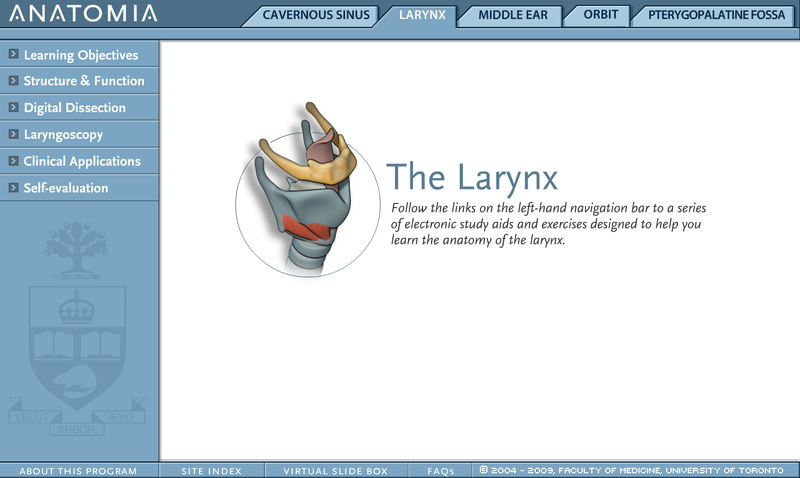 The site is a wonderful learning tool and contains a tutorial section on the anatomy of the larynx in 3D, a digital dissection of the larynx, video laryngoscopy, and self-evaluation tests (basic and advanced levels). 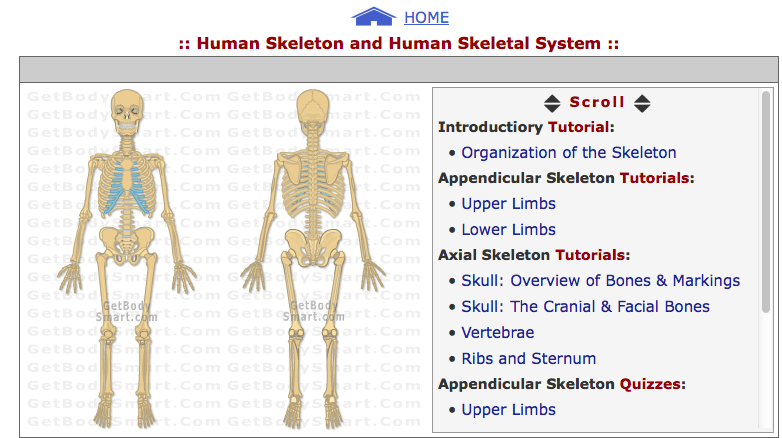 Anatomyzone is a website with free video tutorials on the anatomy and functions of the body. Especially interesting for singers and singing teachers are the 3D videos on the respiratory system, including tutorials on the ligaments, membranes, mucosa and muscles of the larynx, as well as the videos about the musculoskeletal system. With the CVT research site, Complete Vocal Institute aims to make the data, research and knowledge easily accessible for everyone interested in voice research, and for anyone who wants to understand and study the human voice. The site is continued to be developed on a regular basis. A very handy feature are the notifications that readers can automatically receive whenever a page on the research site is updated. All old versions of any page will also be stored, and researchers can link to the exact version of any article or page so references can be used in scientific work. Get Body Smart is an online human anatomy and physiology textbook. What I especially like about Get Body Smart are the tutorials with interactive animations that help you learn about the functions of the human body, and the quizzes that come in handy if you want to check your knowledge on the subjects! Although it might be tempting for singers to just study the anatomy of the larynx, pharynx and respiratory system, remember to also have a look at the functions of the rest of the body, such as the muscular system and skeletal system too. I love this music video and keep referring to it as a vocal anatomy and physiology resource, because not only is it informative and interesting for “vocal nerds”, but it’s also connecting research with art and shows us the human instrument in action during singing. If you’re interested in learning more about the nasal passage and sound colour in singing with this video, check out a mini-lesson that I wrote inspired by the video. This anatomy and physiology resource for singers and singing teachers is a real piece of art! The music video for “Better Man Than He” by British singer-songwriter Sivu is created with MRI-images of Sivu singing. The video gives you a fantastic glimpse into the complicated movements of the vocal system during singing! Inspired by the video, I wrote a little “anatomy lesson” for all you singers and singing teachers. In this lesson I’d like to zoom in on the soft palate, uvula and nasal passage. These parts, how they move, and how that in turn affects the sound, sometimes tend to create confusion in singers. So let’s study them with the help of this marvelous music video! The “roof” of the mouth is a bony area called the hard palate. It extends into a soft, non-bony area: the soft palate. The soft palate forms a muscular arch and ends in the uvula, a small piece of soft tissue that hangs down from the end of the soft palate. The soft palate and the uvula are movable. The doorway between the mouth and the nose is called the nasal passage, or nasal port. This doorway can be opened or closed with the uvula. When we swallow, muscles draw the soft palate and the uvula upward, which closes the nasal passage and prevents food or liquids from enter in the nasal cavity. At 0:15 in the video, look at the tongue. It is a big muscle filling up almost the whole oral (mouth) cavity. On top of the tongue there is something hanging down, touching the lower back part of tongue. This is the soft palate relaxing. Notice how the “tube” of the vocal tract reaches straight up towards the nasal cavity, when the soft palate and uvula are drooping down. The nasal passage is now open, allowing the air/sound into the nose. Your nasal passage is open for example when you say “ng” (as in “sing”). In fact, ALL sound comes out through the nose when you say “ng”, because the soft palate is down and touching the tongue, blocking the sound from entering the oral (mouth) cavity. Try this: say “ng” and pinch your nose. The sound and breath stops. When Sivu proceeds to singing “lo-lo-lo…”, you can see the soft palate pulling up and back onto the back wall off the pharynx. The uvula closes the nasal passage, which in turn stops the sound from going into the nose. If you could pinch his nose now, the sound would not change at all, because all of it is coming out through the mouth. Now Sivu continues singing the lyrics “you can end this anytime you want to”. Notice the soft palate/uvula moving back and forth, opening and closing the nasal passage. This is what is happening all the time when we speak or sing. When we speak or sing words that contain nasal consonants such as “n”, “m” or “ng”, the nasal passage is open. If the nasal passage would be closed all the time, we could not produce nasal consonants and it would sound rather strange! When we sing (or speak) vowels, we have a choice: the nasal passage can be either closed or open. The nasal passage is open for example at 03:03. Notice how the soft palate is relaxed and hanging downwards. You see both cavities, the oral (mouth) cavity and the nasal cavity, are open. The sound now comes out of the nose as well as the mouth, and becomes nasalised in character. Remember the nose pinching test? If you sing a vowel sound with an open nasal passage, the sound will not stop but it will change sound color. Can you follow it so far? Some singers use an open nasal passage to affect the sound colour. At 01:14 when Sivu sings “doom”, the nasal passage is open. If you listen to the vowel sound in the word “doom” you can hear that it is nasal. Compare this to when he sings “lo-lo-lo…” at 0:17, where the soft palate has pulled up, and the uvula is closing the nasal passage. Now the sound cannot travel up to the nasal cavity, and it is coming out only from the mouth. When the nasal passage is closed, the sound becomes more powerful and the sound colour darkens. How much the sound should be nasalised in singing is an artistic choice. You might think, “So if nasality is an artistic choice, why would I bother practicing singing with a closed nasal passage?” Remember, if ALL your vowels are nasalised because you are unable to close the nasal passage with the uvula all together during singing, we are not talking about a “choice”! It makes a lot of sense to practice closing and opening the nasal passage, because this will give you more control over your instrument and more options in sound. If you cannot close your nasal passage when you are singing, you could lose a considerable amount of resonance. The oral cavity is bigger than the nasal cavity, so it is a more efficient resonator. There are also other benefits of gaining control over the nasal passage, such as breath efficiency. I hope you enjoyed this anatomy lesson! Although I chose to use the music video as a teaching tool, please do also watch it for pure enjoyment. Enjoy the music and singing of Sivu, marvel at the artistry of director Adam Powell who created the music video, and the wonders of the human voice! Why is it often easier for us to say what we don’t like about our (singing) voice, than saying what we do like about it? Why is it easier for some to accept negative feedback than to genuinely take in positive feedback? Some time back, I decided to ask all the singers I worked with what they like (or think is beautiful) about their voice. Most of them could not answer the question. Instead, they started laughing or blushing and became all uncomfortable even thinking about the possibility that they could think or say something positive about their own voice. They said they had never even thought about it. I used to be like that. I did not even think there existed such a possibility as me having my own positive opinion about my own voice. That would have felt arrogant. I allowed other people to have an opinion about my voice, be it negative or positive. But not myself…unless it was a negative opinion. I find a positive learning environment extremely important, but I also do believe the teacher is not the only one responsible. The singer is responsible too, for their own reactions, thoughts – and for their hearing! I used to think I was being ‘realistic’ if I thought negative things about my singing. But boy was it confronting to find out I was actually a negative listener! I realized I suffered from selective hearing, meaning I had a difficulty hearing the positive things being said to me because my mind decided to only listen for negative things. I found out I was paying lip service to ‘accepting positive feedback’, while actually constantly fishing for negative remarks. If there were no negative remarks, I’d ASK for one (“for the sake of getting it even better” of “for the sake of my development”). Can you believe it?! That’s like asking someone to slap you in the face, just because you have heard it ‘helps build character’! If you are suffering from selective hearing, like I did, it can be a hard habit to break. It will require some serious training, and thought-stopping. But it is possible. Do yourself a favor and stop slapping yourself in the face. You deserve so much better. In their book ‘Power Performance for Singers: Transcending the Barriers’ Shirlee Emmons and Alma Thomas write about the importance of becoming a positive listener. Very often, because of the nature of their training, singers may have an inclination to hear only the negative things that are spoken to them. The ability to hear the positive things that are being said is an important skill to learn. Listen for the positive things that are said to you. No matter how small they seem, they are important to you. Try to practice this skill in all areas of your life […] so that you become accustomed to what it feels like. Always acknowledge any compliments that are paid to you, no matter how small or who has said them. Get used to saying, “Thank you,” without feeling embarrassed. […] Do not fall into the trap of saying, “Thank you, but my —- wasn’t very good today.” Take the positive compliment for what it is worth and feel good. THIS BLOG POST IS THE LAST ONE IN THE SERIES ‘HOW SONG INTERPRETATION CAN SAVE YOU FROM YOUR NERVES’. HERE YOU CAN READ THE PREVIOUS POST. We have arrived at the last post in this series, inspired by my interest in song interpretation work and my fascination in how it can relieve performance anxiety. In the previous four posts we have gone through some of the tools I like to use when working on interpretation with singers. It’s time for a little wrap-up, in the form of three pieces advise for your interpretation work. Know your story, your Sender, Receiver, goal, and so on. But allow the story to unfold itself in the moment. Try to not fix an ending to your story, that would only make your performance boring. Keep it open. Play with it. In real life, do we ever know exactly what is going to happen next? No we don’t. So go from moment to moment, just as you would in a real-life situation. When you work on interpretation, don’t focus on the performance. Don’t focus on ‘getting it right’. Focus on the story. The moment you try to ‘get it right’, it becomes difficult. And needless to say, all the voices in your head saying “I wonder what they think of me” have to be turned off! It is important that you remember singing technique is something we practice in order to become free to sing whatever we want to express. When we work on song interpretation (and when we perform), the story is important. Not technique. If technical issues are hindering you from giving your story or performance the expression you would like to have, then of course you need to work on those. Technique needs to be practiced into a habit, so that we can use it while we perform. But that’s another story. Singing technique is just a tool to help you express what you want, and to keep you healthy while singing. Singing technique can help you express whatever you want. But if there is no expression in the first place, there is no singing technique in the whole world that can help you! THIS BLOG POST IS #4 IN THE SERIES ‘HOW SONG INTERPRETATION CAN SAVE YOU FROM YOUR NERVES’. HERE YOU CAN READ THE PREVIOUS POST. In this series of blog posts we are examining some tools that will help you create a concrete structure for working on song interpretation. The title of the blog derives from my fascination with the connection between interpretation work and relieving performance anxiety. Today we will examine how to make the song interesting by adding some interaction and drama to it. We will also talk about how creating an imaginary setting for the song can help us feel more focused and less nervous in the performance situation. WHY are you singing the song? What is your goal? What do you want to achieve? What do you wish the outcome to be? This is an essential aspect of song interpretation. Knowing what the song is about and to whom you are singing is not enough. We need to have a reason to sing the song. The reason is somehow connected to the Receiver. Convince someone they should stay with us. Tell someone they should reconsider their decision, because they might end up getting hurt. Remember the singer I told you about in blog post #2 of this series? She was working on ‘Help Me’ by Joni Mitchell. This singer was used to perform with a loud rock band. Now she was making the shift to acoustic repertoire. She loved singing her new repertoire, but the smaller setting made her very nervous. She felt vulnerable, like ‘there was nowhere to hide’. We needed to create an imaginative song setting that felt safe for her. She had concluded the song was full of emotions you feel when you are having a crazy romance. When choosing a Receiver, she could have chosen to sing the song to the (imaginary) character she / her song character fell in love with. But she had concluded the romance didn’t only feel wonderful, but also scary and not that stable. So it felt better for her to choose a Receiver she felt very safe about. To whom are you singing and why? I am telling this to my best friend, because I know she will understand me, she has been there herself. In this case the reason for singing the song is: singer is looking for comfort, understanding, sympathy, perhaps even good advise. Or, like we put it in the session: “It’s girl’s talk that we are having over a glass of Cava.” Which brings us to the next point. Where is the story taking place? What happened just before you start singing? Creating a setting for your story will help you stay in the story from beginning to end. Some singers do not know ‘what they should do’ during an instrumental interlude. This makes them often feel nervous. Watching others perform, you can clearly see that they have trouble ‘getting into the song’. In both cases, you could solve the problem by making sure there is a clear objective, and by focusing on the Receiver and the setting. While communicating, we are always looking to evoke some kind of response (or feedback). Feedback is an essential part of the communication process, and included in most communication models. The Sender and the Receiver in the story need to communicate too, in order for the story to remain interesting. When you sing your song, imagine how your Receiver would react to the things you say. You can imagine verbal reactions, and also actions, like turning away, standing up and walking towards the door, and so on. If you have a clear picture of what you are singing, to whom, and why, it helps you take your focus away from external things such as worrying about what the audience thinks about you. When you are completely in the story, the music can flow through you. If we return to the singer working on ‘Help Me’, she found focusing on the interaction between her and her (imaginary) Receiver a very helpful tool. Whenever she felt she got ‘out of the story’, she could imagine a reaction or response from her Receiver. This would help her continue. Having a Receiver to focus on made her feel calmer and more more centered in her performance. We will end today’s blog post with an exercise. Read the lyrics of the song All Of Me. Read them out loud. Where are they? What has lead to this moment? Why is the Sender singing? What is his/her goal? How could the Receiver react? Post your answers here, so we can get inspired and learn from each other! THIS BLOG POST IS #3 IN THE SERIES ‘HOW SONG INTERPRETATION CAN SAVE YOU FROM YOUR NERVES’. HERE YOU CAN READ THE PREVIOUS POST. Today we will create characters (a Sender and a Receiver) for your story, and talk about how using characters can help you relieve performance anxiety. You can sing the song ‘being yourself’. Or you can create yourself a character. This can be especially helpful if you have to sing a song that feels difficult to relate to, or if ‘singing as yourself’ feels to vulnerable for you. Where does the character come from? What does s/he do for a living? You get the picture. This is like creating a ‘passport’ or a life story for the character. Obviously, there will always be a part of you in the character, because you are using your own life experience when you create and play the character. In my work with singers, I have found this a helpful tool for many that are suffering from performance anxiety. Having an imaginary Receiver gives you someone/something outside of yourself to focus on while you are singing. Focusing on communicating with the Receiver feels safer for most people than having to focus on the whole audience. The Receiver can be a character you invent, or a real-life person that you don’t know (some people use historical characters, movie stars or film characters as the Receiver). You can use people from your own life too, but be aware that you don’t cross the ‘emotional safety line’ doing this. It is, for example, not advisable to choose a real-life person with whom you are having an open conflict as your Receiver. If it feels emotionally safe for you to use people from your own life, go ahead and do so. If it does not feel safe, invent a character that you are singing to. The Receiver is your own secret. You do not have to the audience about your Receiver or about the situation you picture. Remember, these are just tools you use to make your interpretation better, and/or to relieve your performance anxiety. Can’t I just sing the song to myself? Singing the song to yourself is not necessarily the best option, because this might result in an introvert performance. Introvert can work well in a recording situation, but does not work on stage. So think of another person, or something else outside of yourself (for example God), to use as your target. Singing the song to a Receiver will also help you keep the song interesting. Remember the Kenny Werner quote about music being communication? Well, that’s what we want to achieve. The communication (drama) will also be useful in other ways. It will help you remember the lyrics better, and it will help you stay focused on the story. We will talk about creating drama in tomorrow’s blog post. Listen to these two different versions of the jazz standard ‘You’ve Changed’. What kind of character do you imagine is telling the story? What is the difference between the first character (song version #1 performed by Billie Holiday) and the second character (song version #2 performed by Sarah Vaughan)?